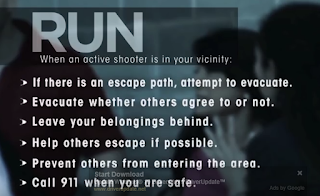 In early January we published links to a video and crib notes regarding how civilians should respond to an active shooter situation. You can find a link to that post here. In general, the best course is to RUN and evacuate the building. If that is not possible, then the next best choice is to find a good place to HIDE. 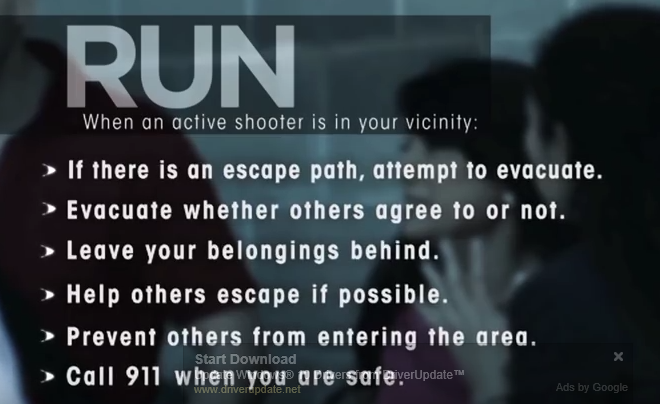 Finally, if running or hiding are not options and you are confronted with the shooter, you need to be prepared to FIGHT. In the parlance of the Advanced Law Enforcement Rapid Response Training (ALERRT) this is known as AVOID, DENY, DEFEND. As a follow-up to that article, I want to share with you a unique situation I experienced on Sunday evening. John Wolfinger and I were lucky to be included in an active shooter simulation at Lenox Square. This was a joint effort between Atlanta Police Department, Lenox Square, and Phipps Plaza. In three different scenarios APD officers searched for, engaged, and took down active shooters inside the mall. Along with a host of other volunteers, John and I assumed the roles of civilians in the mall. Both of us were assigned as “runners”. This meant that our job was to exit the mall as quickly as possible while the shooter was still engaging targets and the police were entering the building and searching for the suspect(s). Even in a simulated scenario there is danger. Officers were using simulation handguns, shotguns, etc. which fire non-lethal rounds. However, the noise is intense, and if you are accidentally hit by one of those rounds, it will leave a bruise. As a result, we were issued protective gear including helmets to protect eyes, etc. The purpose of the exercise was to train APD officers, however, I learned something too. 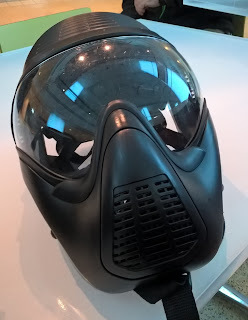 Though our role was to react realistically with screaming and panic, we were instructed on how to stay safe without hindering the officers responding to the scene. These are the four lessons that I want to share with you. 1) When evacuating the scene, keep your hands raised so that in-coming officers will not view you as a threat. Don’t reach into your pockets, pull out your phone, etc. 2) Follow all instructions issued by authorities. If they tell you to lay down on the ground, don’t ask questions, just do it. 3) No matter how scared you are don’t grab at an officer or try to stop him. 4) Understand that the responding officer’s first obligation is to disable the shooter(s) not to attend to the injured. Help will be coming as soon as it is safe. If you are interested in learning more about civilian response in such situations, please consider attending one of the active shooter presentations being offered by the Atlanta Police Department and the Mayor’s Office of Constituent Services. Attendees will learn strategies and plans for surviving an active shooter event. Also included will be information about the history and prevalence of active shooter events, the role of law enforcement, civilian response options, and a Q & A period. Presentations will take place from 6:00 – 8:00 PM at the following dates and locations. Please RSVP by sending an email to [email protected] two days before the session you would like to attend.